First Strokes shows all four competitive strokes, demonstrated by young swimmers. Four novices illustrate the stroke characteristics of first-year swimmers. Six more-seasoned swimmers show how skills evolve with one or more years of coaching and practice. 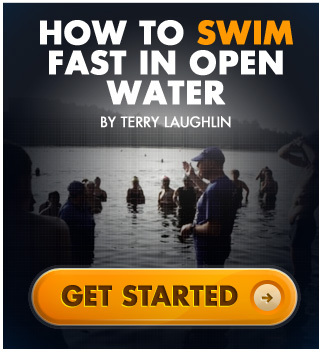 When you know the essential skills — those every swimmer should learn first — you can progress with startling speed. We show each key skill and every revealing detail above- and below-water, with slow-motion and comparison video. • Skill One – Cooperate with Gravity: Use — don't fight — gravity to achieve support, comfort, control and confidence. • Skill Two – Laser Beam Forward: When you keep head and spine aligned, you gain control and can make your movements more effective. • Skill Three – Extend your Bodyline: Complete extension of the bodyline in every cycle of every stroke, to increase efficiency and save energy. • Skill Four – Seamless Breathing: Breathing the right way not only gets oxygen to your muscles; it also makes your stroke more powerful and effective.